In the summer of 2010 my friend Joseph Kennedy and his wife Helen offered their secluded cottage on a beautiful lake so I could begin the work on this manuscript. In the solitude a first draft about four centuries of my consciousness began to emerge. Their repeated kindness in providing the perfect locale to write is deeply appreciated. 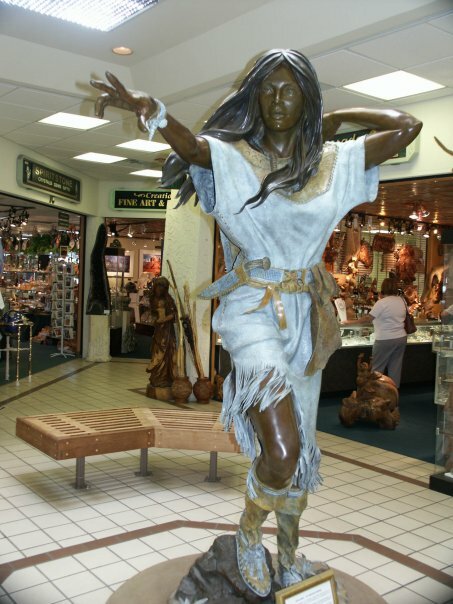 This book has been percolating in my mind for over two hundred and thirty years, yet how do I write about The Muse – Trailing Sky Six Feathers – my Native American wife and medicine woman in whose arms I died in 1777? She vows to find me in a future time, despite the overwhelming resistance from my intellectual mind to remember her. All trace of me from the manuscript was removed for a while after that summer. Two years passed by. 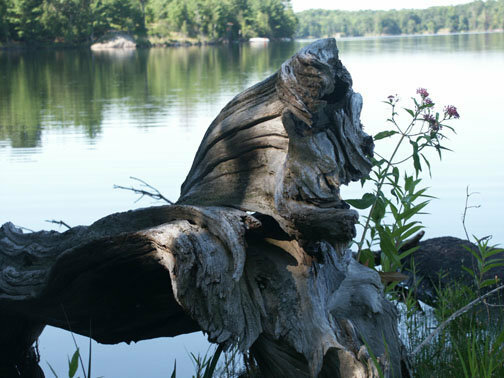 In the spring of 2012 I returned to the remote cottage and manuscript. I began to absorb what I had previously written and transmuted it to another level with copyediting advice from my wife Carolyn. Her contribution to the manuscript was immense as the collision of past life with present time impacted her as well as me. I had immense support and encouragement from many sources. The biggest impact on my “remembering” was Trailing Sky Six Feathers herself. Past life memories collided head on with my present life, all thanks to her persistence – the Muse who refused to give up. The relentless shadowing by this engaging Muse from the 18th century brought understanding not only to me, but to anyone striving to overcome the darkness of their past. In the spring of 2013 the lure of a writer’s retreat in Sedona was irresistible. My companion writers arrived as strangers and we left as a tight knit family. Their talent and bravery to bring forward deeply personal issues in their writing impressed me. As did our day on the land with a gifted guide, Clint Frakes, which culminated in a medicine wheel ceremony that deeply affected every one of us. EagleSpirit, a contemporary shaman from New Brunswick in Canada, took photos of the medicine wheel after we had left it. She caught a light beam right in the middle of the medicine wheel, exactly where I had been standing. With her permission that photo adorns the cover of this book. Also on the front cover is a superimposed photo of a statue of Sacawajea sculpted by John Soderland. My humble thanks to both EagleSpirit and John for their gifts to this work. My niece Theresa Kelly and her partner Steve da Costa sculpted these two photos into the front cover for the book. I offer my appreciation of their skill and care. I benefited enormously from my fellow writers who bared their souls in beautifully written and courageous prose. I could do no less. My thanks to Lydia Ramsey, Gary Finnan, Randy Webster, Daniella Panet-Raymond, Diana Howe-Richards, Krista Houstoun, Susan Mullen, Mary Beth Robinson, Dana Srebenick, Mary Enright-Olson, Darlene Simmonds, Lori Morrison Novoa, EagleSpirit, Pat Knauss, Charisse Webster, Pauleen Robertson and Arlene Dreste. The keen editing eyes of the brilliant facilitators – Lisa Fugard and Julie Colvin – led me to cut prose that I liked, but did not need. In the rewrite I introduced, where necessary, a harsh and somewhat ugly honesty that brought the missing edge to the adventure. Throughout the manuscript the footprint of Trailing Sky Six Feathers danced lightly. Though sometimes she needed heavy wooden clogs on her feet to kick my backside so I would fully wake up to her presence. I also attended the fall writers retreat in Sedona with the same facilitators to create the final refinements to my book. It was a privilege to share excerpts from the work with gifted writers and facilitators. My personal journey through four centuries of consciousness seemed to strike a chord. That insignia continued once the retreat finished, as Carolyn joined me for a further week to explore the extraordinary terrain of Red Rock Country. Clint Frakes took us out on the land – walking in to Cathedral Rock from Red Rock Crossing at sunrise. We climbed a vertical cliff to a hidden space where Clint conducted a sacred ceremony for us in front of two soaring slabs of pictoglyphs – painted and carved. We left hours later, transformed and imbued with the reality of Traiing Sky Six Feathers. 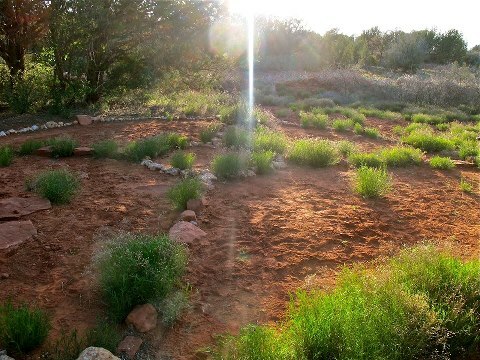 Walking the land evoked the latticework of vortex energy, challenging us to be the best we can. Later in the day, just before sunset, Clint provided an awesome medicine wheel experience for us. He had re-built this wheel many years ago and before we left this sacred place he took out a stone, the size of my hand, from the medicine wheel and gave it to me. A gift to call us home to the awakened self that has been sleeping. My debt to Clint and to the land of the Red Rock country is completely beyond words. 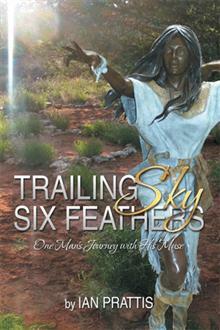 The integral person of my book – Trailing Sky Six Feathers – was everywhere. Nowhere so strong and beautiful as when Carolyn perused the Kopavi Gallery, just across the road from Tlaquepaque – Sedona’s most exotic market. In the Kopavi Gallery, Carolyn was shown an eagle feather pendant in 18K gold. It was intricately hand carved by John Coochywpten of the Hopi Tobacco Clan, a master goldsmith who blessed each of his pieces with prayer and ceremony before they went to market. The pendant was small, approximately one slim inch long. The foundation was a beautifully crafted eagle feather in gold. John Coochywpten placed a medicine wheel at the top of the feather and rested an eagle head with an all seeing diamond eye upon it. The two diamonds at the bottom of the feather depicted two travelers through time. The pendant had a simmering power to it that Carolyn felt deeply. She gasped with surprise the moment she saw it, as it was a symbolic reflection of this book and the modern day adventure she and I were exploring. This gold and diamond pendant spoke of Trailing Sky Six Feathers’ legacy to us. While Carolyn was upstairs in the Kopavi Gallery, I had been sitting outside on a wooden bench, taking in the sky, moving clouds, the sound of Oak Creek with traffic as a background hum. I was inadvertently ready for a sign, which came in a totally hilarious manner. I meditated and after a short internal dialog with Trailing Sky about my next steps, I opened my eyes. I saw a white utility van slowly approaching the round-about right in front of me. Emblazoned in bold, red capital letters on the side panel was the logo “YOU GOTTA DO IT! !” I laughed out loud at that and later wondered how Trailing Sky had managed such perfect timing. I went upstairs to join Carolyn in the Kopavi Gallery. She was telling the manager of the gallery the story of my book and why the Eagle Pendant had spoken so deeply to her. I could see how elated Carolyn was, with that secret smile she saves for rare occasions. And there was the talisman of Trailing Sky Six Feathers and Eagle Speaker in minute detail and provocative power. I looked at it for a long moment. Carolyn softly asked me if I saw and felt its resonance. There was no hesitation on my part. After all, I had just received the message “YOU GOTTA DO IT! !” Carolyn knew intuitively that the pendant symbolized my book and our 21st century adventure. We were glowing with confirmation. Carolyn and I were forever changed by this gift. I offer homage to the Hopi goldsmith as John Coochywpten suffered a stroke after completing this incredible piece of art and lost the use of his right arm. This was the last piece he ever made. I can never thank him enough for creating the symbol that provided Carolyn and I with such startling confirmation. One morning Trailing Sky rose from the bed she shared with her husband in the cave set in the high canyon. She saw that Eagle Speaker had left before dawn to hunt. They had not eaten fresh meat for over a month, as the larger game had a tendency to migrate towards the east during the day while resting at night in the canyon valleys nearby. So he changed his pattern of hunting to track the mule deer as they grazed before sunrise. She dressed slowly, watching and becoming very aware of the shamanic energies arising within her. She stood very still at the lip of the cave, observing the first rays of daylight caressing the valley below. She swayed back and forth, rooted in one spot, and concentrated on her husband. She could clearly foresee the danger. Without waking her friend Long Willow, she took down her powerful long bow from the cave wall, selecting Eagle Speaker’s four best arrows. She knew that this day she would need every one of them. Though Eagle Speaker had left carefully so his tracks were scarcely visible, she drew on the experience shaped by her mountain home, where she knew the trace of every creature wherever she went. Quickly she found Eagle Speaker’s footprints and followed them eastwards. She noticed a rock cache with small animals that Eagle Speaker had hunted along with four broken arrows. Not the game he was looking for, but nevertheless vital to keep them alive. She carefully replaced the rocks exactly as they had been built. The tracks then led her to a dried up gulch where she saw the heavier print of his forward foot. She stilled herself again sensing the shamanic energies. This was the place he had stood to shoot a larger game animal from his bow. Eagle Speaker had stood in that exact spot at dawn, drawing a steady bead on a large mule deer with his last arrow. His previous arrows had shattered on impact and he noted in his mind the tree he had fashioned these arrows from. His final arrow was made from stronger wood and he knew it would deeply penetrate the unaware mule deer in his view, starkly outlined by the early morning sun. As he released the arrow from his bow, his prey moved in the same instant. The strong, swift arrow did not provide a clean kill. It went deeply into the mule deer, high in the muscles of the left foreleg. Eagle Speaker whispered a prayer to the mule deer for causing unnecessary suffering. He proceeded to follow the wounded creature to end its misery. The erratic and painful trail left by the dying mule deer strayed into Tonto Apache territory. Eventually he caught up with the mule deer, exhausted and on its knees, close to a sandstone butte reaching up into the morning sky. He dispatched it with his hunting knife and enacted a simple ceremony of gratitude by cutting out part of the heart and liver, placing it on a natural rock altar. He put tobacco by the stone as an offering to the animal, then became acutely aware that he was no longer alone. He had been spotted earlier by a scout who called in two other warriors to corner this stranger hunting in their territory. One of them – the smallest – started to climb the sandstone butte, while the other two approached in a pincer movement that provided no escape. Eagle Speaker saw all three of them and knew they would kill him. He had only his hunting knife and a bow without arrows. A spontaneous shout echoed in his mind as he silently called out to Trailing Sky for help. And there she was. 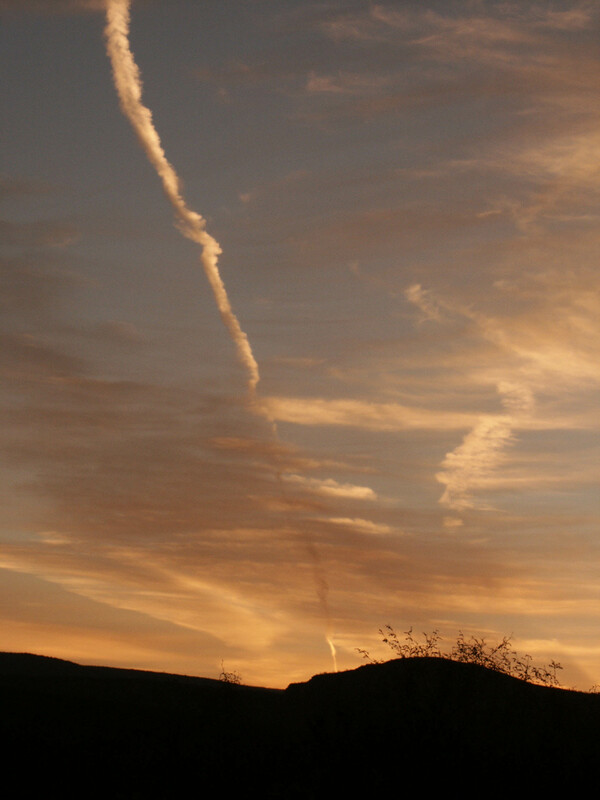 Standing with her bow fully drawn, Trailing Sky commanded the edge of a clearing close to the sandstone butte. She was well shielded from sight by small ash trees. Her first arrow sent death to the scout climbing the butte and he fell with a heavy thud on the rocky floor below. This surprise pre-emptive attack made the tallest warrior move towards her at the edge of the clearing, but an arrow was already coming his way from her bow. It went right through his throat. As he turned, dropping his weapons while clutching at his throat, her third arrow went directly through his heart killing him instantly. The third warrior was in fierce hand to hand battle with Eagle Speaker and had gained the upper hand, throwing Eagle Speaker against the rock wall of the red sandstone butte. As he raised his battle axe to strike a death blow, Trailing Sky’s fourth arrow, shot with great accuracy, entered below his armpit, through his chest into the heart. The warrior fell forward and Eagle Speaker tore the battle axe from his hands and finished the death process with a swift smash to the skull. It was all over in a matter of seconds. He knew he would never understand her gifts of seeing and felt humbled by her presence in his life. Trailing Sky was filled with gratitude that his life was still with her, as she feared the dislocation that a different outcome that day would have created. Eagle Speaker’s strategic sense quickly re-asserted itself. “We must take the arrows out of the slain Apache scouts and from the mule deer. Leave the bodies right here, just where they have fallen. The animals and vultures will come and scatter their remains and cover some of our tracks.” Trailing Sky nodded her consent. The sun had begun to rise and they knew they had to be meticulous. They created a false trail to a pass in the canyon wall that led to the southern plateaus. Retracing their steps to the killing ground by the clearing next to the sandstone rock, they began the painstakingly slow removal of all trace of their passage westwards. Eagle Speaker took care to relocate the rock cache he had built for the small animals he had killed – two rabbits and two small grouse. He retrieved his shattered arrows and scattered the rocks in the pinyon forest, leaving one dead grouse for vultures to find and scatter their unmistakable presence over their tracks. It was nightfall before they got close to the safe haven of their cave. Trailing Sky stopped and gave the small grouse call. Long Willow loomed out of the darkness, with her long gun leveled at them and her battle axe slung over one shoulder. She had stationed herself at a hidden juncture of the trail leading to their cave, ready for the worst. She had sensed the same foreboding that drew Trailing Sky out at dawn, but did not have her gifts of seeing. Trailing Sky whispered to her briefly what had happened. Long Willow nodded silently and beckoned them to go on to the cave while she checked that they had not been followed. She returned several hours later in the dark. They did not light a fire, wrapping themselves in blankets and animal skins for warmth. They humbly offered prayers for the three slain Apache scouts. They did not leave the cave for a week, surviving on dried berries, water and their scant supply of dried meat. Long Willow maintained a sharp vigilance during this time, her long gun trained on the trail far below. No-one came their way.